According to scientific-research and teaching activity The Institute of Transport is divided into four institutes: The Department of Transport and Process Equipment, The Department of Transport Equipment, The Department of Transport Technology and The Department of Air Transport. The Institute of Transport provides teaching activity in the study branches “Transport Equipment and Technology”, “Transport Machines and Material Handling”, “Air Transport Technology”, “The Technology of Operating Air Equipment” and “The Technology of Maintaining Air Equipment” in bachelor study programmes and teaching activity in the branch “Transport Equipment and Technology” and “Design and Process Engineering” in a follow-up masters study programme and a further doctoral study in the branch “Transport and Handling Equipment”. In the framework of the bachelor study programme “Air Transport Technology” The Department of Air Transport provides students teaching in the framework of the study branch “The Technology of Maintaining Air Equipment” basic training for acquiring a license which authorizes the holder to release airplanes and their components into operation in the terms of their maintenance. In the framework of the study branch “The Technology of Operating Air Equipment” it provides students theoretical training in the framework of acquiring the necessary combination of licences and qualifications, which authorize a holder to pilot aircraft in commercial air transport. 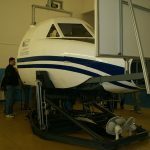 In the framework of the study branch “Air Transport Technology” it provides students an operational-economic base with an emphasis on the problems of air transport safety and environmental protection. The Institute closely co-operates with the Mining-Geology Faculty and the Faculty of Civil Engineering and provides teaching for them at the same time. The department is oriented on the area of lifting, transporting and storage systems of loose materials, for example lifts, cranes, various types of conveyors and suppliers. An individual chapter is made up of the research of the technology of transport and storage of loose materials from the point of view of measuring and evaluating their mechanical-physical properties (the friction, granularmetric and morphological properties of bulk materials) and their changes in the course of production, transport or storage processes, the research of the legality of moving particles through areas, supplier flow breakdowns, among which is possible to rank arching, smokestacking, and other regimes of loose material flow, pressure pulsation, etc. Parts of scientific activities are projects with foreign partners and the study stays of our students and scientific staff mostly in EU countries. 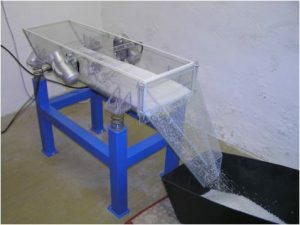 Among the partner universities there are for example: TU Braunschweig, TU Magdeburg, TU Freiberg, Politechnika Śląska Gliwice and several others, The UDZ scientific-teaching staff are members of national and international organizations, such as EFCE – European Federation of Chemical Enginnering, TNK-100 Technical Normalization Commission, ČSMM-L Czech Society for Material Handling and Logistics, ČSpSH – Czech National Society for Bulk Materials. In research areas it is oriented on the answering of basic questions connected with air transport safety and the affect of the human agent on operation conditions. It works together with scientific research institutes, for example ČVUT Praha, ŽU Žilina, THU Curych, SRCE Zagreb, University of Tallin, University of Duluth, UPC Barcelona. In teaching specialists, it co-operates with a whole number of providers of air equipment, airports and state administration organizations. Department members are members of special commissions, which are constituted on the level of university workplaces and on the level special bodies and organizations. Scientific-research activity is oriented on solving the problems of the dynamics of movement transport means, the reliability of transport means and transport systems and on logistic system projects. Part of The Department of Transport Equipment is also the Laboratory of Rail Transport and the Laboratory of Road Vehicles. Institute staff share in the completion of a whole number of projects in the framework of operational programmes financed by EU sources and co-operate in work practice (Škoda Transportation Plzeň, Vagónka Vítkovice, MSV Elektronika, Ltd., Studénka, TÜV SÜD, Ltd., Czech Republic Railway Inspection, Police of the Czech Republic). 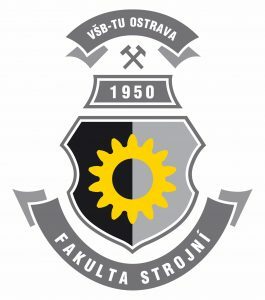 They also co-operate in development with academic workplaces, especially with the Transport Faculty of Jan Perner in Pardubice and with other educational institutes. The activity of the Department is also the education of students at all level in full-time and part-time forms. In the teaching area attention is focused on the education in technical and technological disciplines connected with the construction and operation of road and rail transport means. Emphasis is placed also on the teaching of IT. In the area of science and research the Department’s activities focus on the development and application of mathematical and simulation models and methods and software support of projects for various problem solving throughout all types of transport. 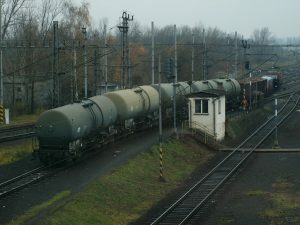 The staff is also oriented on the problems of technology, organization and control in transport systems and logistics. It has recently been possible to introduce the mathematical models of distribution systems, crossroads control including coordination, models connected with the effective network design of Municipal Mass Transport links, the time co-ordination of connections of mass transport, the circulation of mass transport vehicles and reliability questions about the workings of mass service systems. In the future, the Department is going to focus on the use of more advanced computer equipment in solving optimization problems in transport, such as the Petri nets and evolutionary computer techniques (neural networks, genetic algorithms, and similar areas). 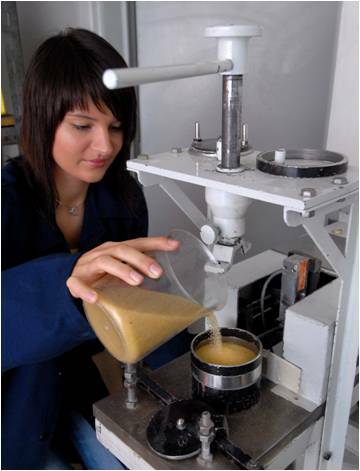 In the framework of completing various projects Department staff is co-operating with close workplaces, especially the selected workplaces of the Faculty of Management Science and Informatics Systems at Žilina University in Žilina and regularly participates in organized special seminars and conferences dedicated to the development and deepening of knowledge about perfecting modern equipment. 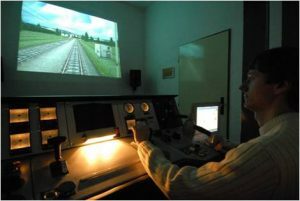 In the area of teaching, Department staff ensured especially the teaching of subjects connected with quantification and simulation modelling, in bachelor, as well as a follow-up master study in all branches specialized on public transport taught at The Faculty of Mechanical Engineering of the Technical University of Ostrava.